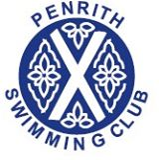 THE Cumbria age group county swimming championships came at a difficult time for Penrith Swimming Club as the recent closure of the pool for several months meant it had not been possible to train as hard as members would have liked. As a result, only four members entered the events Allan Armstrong, Jodi Hebson, Laura Huggon (pictured) and Jay Johnson. Laura’s achievement in winning four individual events and being placed second in five more was therefore particularly noteworthy and represents the best performance by a Penrith swimmer for many a long year. The four events she won were the 50m backstroke, in a time of 34.38; 100m backstroke, in 1.14.00; 200m backstroke, in 2.44.10; and 100m freestyle, in 1.04.34. She was second in the 50m, 200m, 400m and 800 freestyle and the 400m individual medley. In addition, she reached the final of six more events. As a result of this impressive list of results, Laura won the 13 years girls’ overall award for the best swimmer in the county. The Club Handbook outlines the necessary information regarding the club.